January 15th, 2019 - darkness overcomes you . . . This blog is a copy of a WordPress blog, which is where comments can be made. What good times I've had with daiskmeliadorn during her visit here this summer. 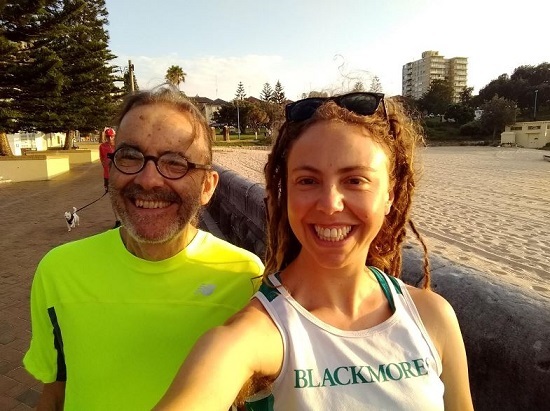 We've twice enjoyed breakfast of vegan muffins and coffee in Soma; celebrated on Christmas day with a family-minus-one beach-side walk; feasted together in a (delayed) Christmas complete-family lunch; she both literally and metaphorically supported me while we scattered my mother's ashes; and this morning we 'power walked' from Coogee to Maroubra. When we reached Maroubra we sat in the sun at Pool Café overlooking the ocean. 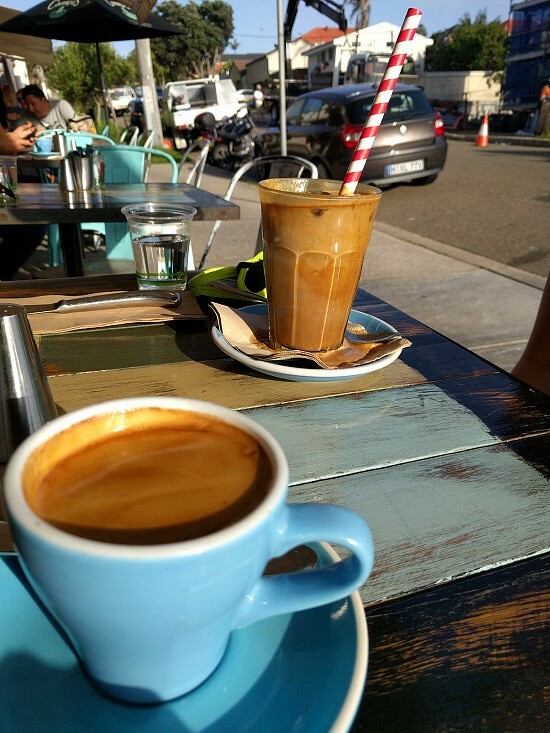 Daiskmeliadorn had an iced soy latté with extra shot and I had the usual long black, while we shared a fruit toast and marvelled at how lucky we were to be able to enjoy this time together. As I write this she will be getting ready to board her flight back to the bitter cold of snowy upstate New York. I'm not sure what 2019 has in store for the rest of the family here in Sydney, but the memory of these good times together has the potential to get me through just about anything.